el cheapo products© presents: Traveller Paper Miniatures Vol. 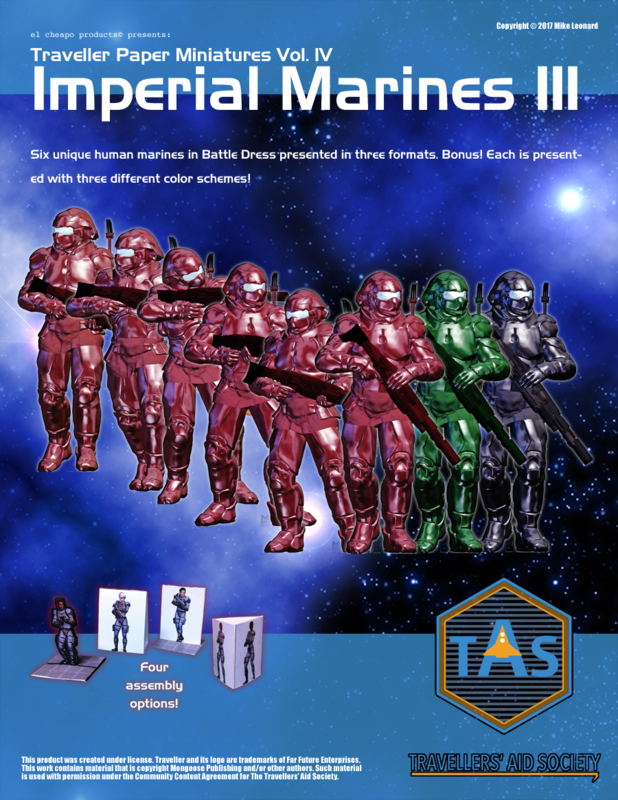 4 Imperial Marines III! 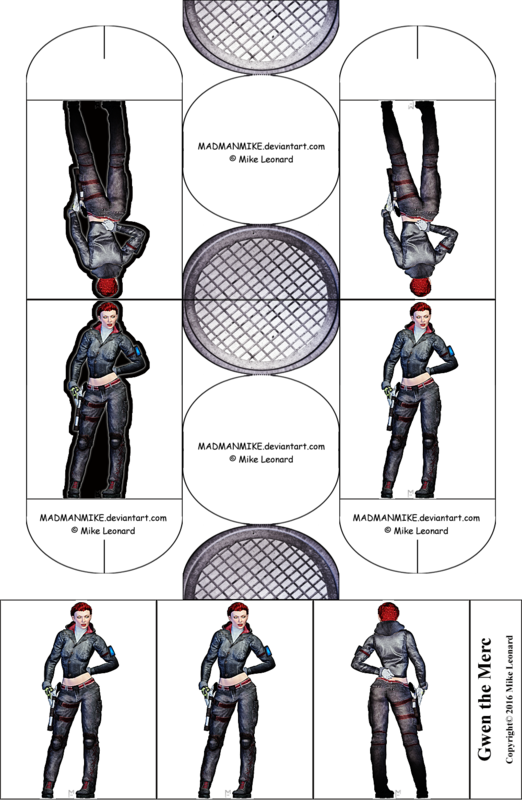 Included in this set are 6 highly detailed paper miniatures of human Marines in Battle Dress, ready to serve and protect the Empire wherever and whenever they are needed.. Great for Traveller or any Sci-Fi tabeltop game! These Minis are slightly larger than 28mm scale, to represent the increased size/bulk of the Powered Armor. Bases can easily be trimmed to 1 inch/2.5cm if so desired.